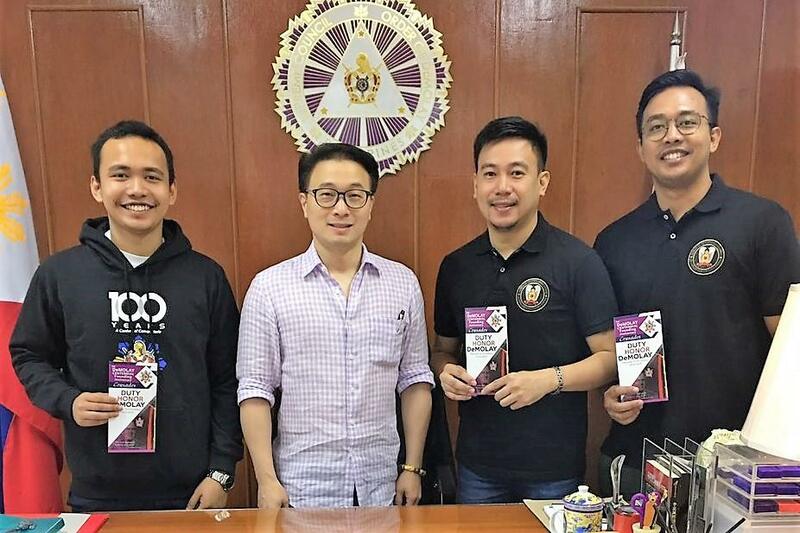 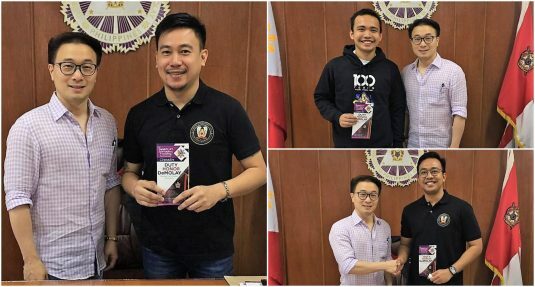 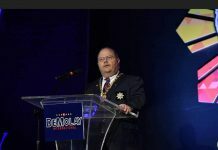 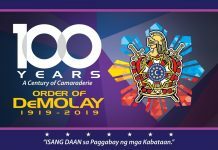 Grand Master Edison Abella of the Supreme Council, Order of DeMolay personally received the pledges of support to the DeMolay Crusades from Senior DeMolays Raymond J. Salazar as a Frank S. Land Centennial Fellow, Marc Albert D. Barzaga and Rene John Raphael S. Aquino as Jacques DeMolay Centennial Fellows, and Brother Elwin John D. Barzaga as a Louis Gordon Lower Centennial Fellow, all from Gen. Emilio Aguinaldo Chapter (Noveleta, Cavite), at the Philippine DeMolay Youth Center in Manila. 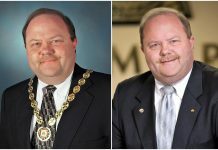 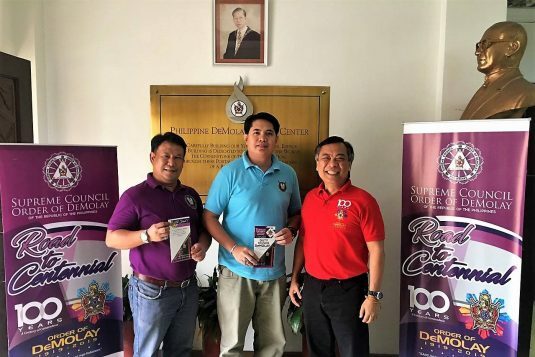 Also, Brother Reymundo B. Fernando of Semper Fidelis Chapter (Batangas City) and signing up for his brother, Master Mason Maynard B. Fernando, who is based in Texas, USA and a member of Albert J. DeLange Lodge No. 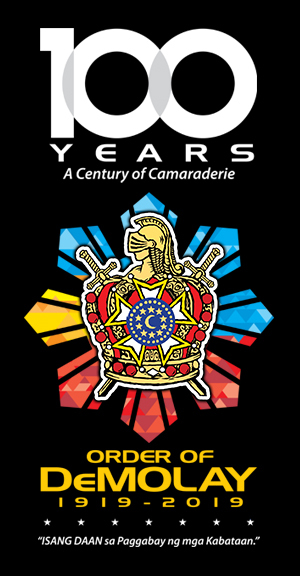 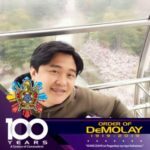 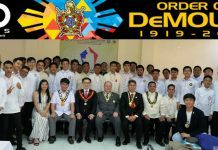 1403, have joined as Jacques DeMolay and Frank S. Land Centennial Fellows, respectively, In the photos, Brother Reymund Fernando was joined by Senior DeMolays Michael Manguerra of Semper Fidelis Chapter and Barry Poliquit of Serafin V. Aguilar Chapter (Bacolod City).